Tweespruit Boerdery - Paarl Accommodation. Tweespruit is situated on 40 hectares of privately owned land between the 2 famous golf courses in Paarl. 27 hole Boschenmeer Golf Estate and Pearl Valley Signature Golf Estate. Ideal for the enthusiastic golfer. Our neighbour is the well known Val de Vie Polo & Wine Estate with a lovely restaurant. Down on the end of Tweespruit lies the beautiful Bergriver who runs through the hart of Paarl town. We farm with export Table Grapes which are being hand-picked and packed on Tweespruit in summer time from mid January until end of March. The Citrus will also be hand-picked in Autumn and packed at a pack house in Paarl. Most people love the peace and quietness on the farm. This comfortable cozy cottage offers you all necessities, fully equipped kitchen (with a dishwasher), 2 bedrooms (both with en-suite bathroom and aircon, beds we do on your request: king size or single), dining- and living areas, satellite TV (DSTV: Package: Extra View), private safe shaded parking, private braai area with wood, fireplace, tea and coffee available, bathing towels and all bed linen provided, cleaning of rooms every 3rd working day, wheel chair friendly and child friendly, your private stoep gives you a beautiful view of our table grape vineyards. 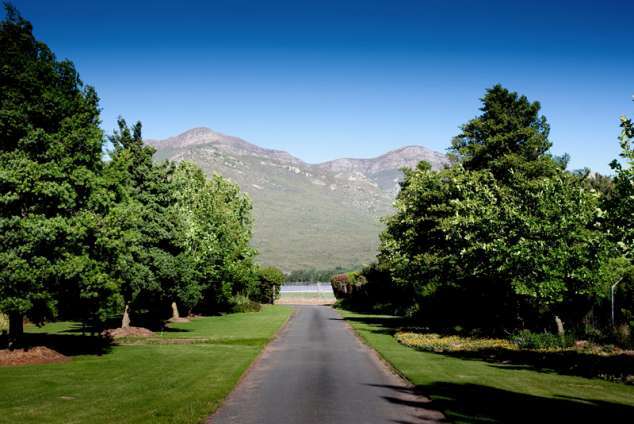 Paarl (8km) and Franschhoek (21.5km) are so close and can offer you a multitude of activities. Detail description : Next to the 27 hole Boschenmeer Golf Estate and Pearl Valley Signature Golf Estate. Ideal for a golfer. Our neighbor is Val de Vie Polo & Wine Estate. Close to town (Paarl), but experience life on a Table Grape Farm. 24028 page views since 19 Jan, 2010.